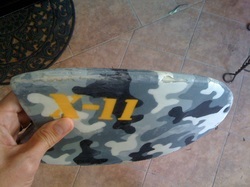 Superbiscuits are body surfing devices hand made by me in Santa Cruz, California. 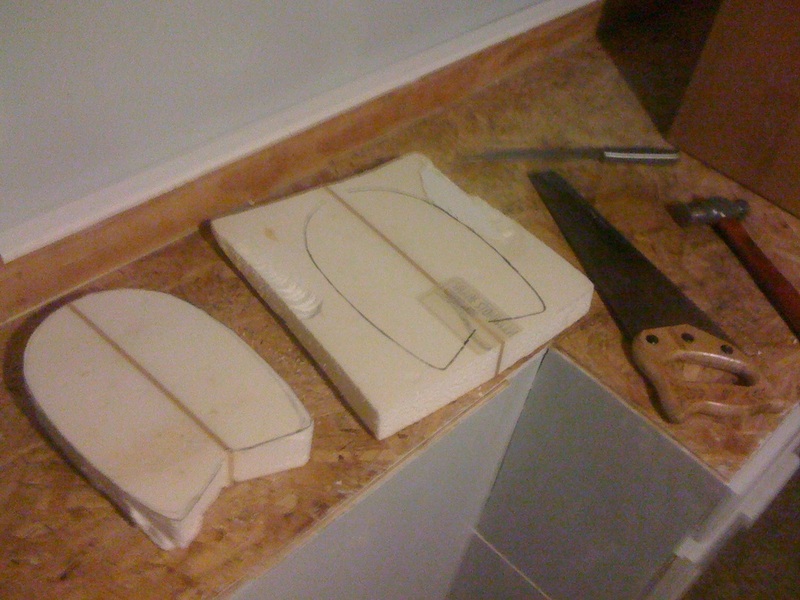 I use foam from broken surfboards, shape and glass them myself, and also make the adjustable straps that come with them. I have been making them since around 1996, I've had people come up to me countless times asking where I got it, or if they could buy one. After all this time, I finally decided to make some to put up for sale. 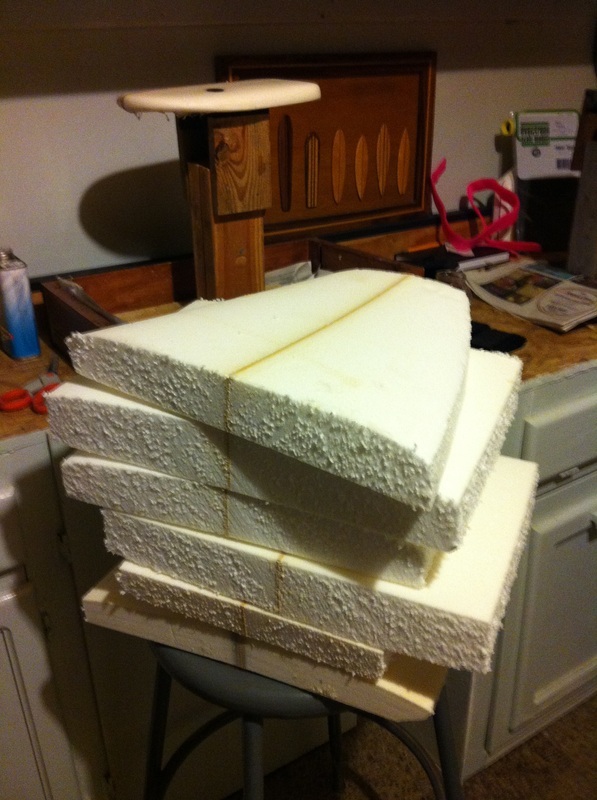 I've seen similar things made from plastic and wood, I feel that using surfboard foam makes them more bouyant and faster, enabling you to put yourself in places on a wave that you couldn't get to just using your hand alone. Before using one of these, I had only made it out of one legitimate barrel bodysurfing. With one of these I had one session where I lost count at 12. The Superbiscuit is also unique in that its strap is adjustable to different hand sizes (and is also very comfortable). I've seen similar devices selling online for around $150, so I also feel that the Superbiscuit is a great value, especially given the amount of time it takes to make one. I've used these things for years in heavy conditions and let me tell you, they are VERY TOUGH! I double glass them with 6 oz. glass (which is why it takes me so long to make them), and then give them a 'hot coat' for glossiness and added strength. I've never had a strap break or a strap plug come out. I even drove my car over one accidentally one time (the X-11) and aside from a couple of patches to make it water tight again, it was fine. Not pretty anymore, but fine. Because these are hand made, please note that there might be minor cosmetic flaws (bubbles in the glass, etc... also my skills with a sewing machine still need some work). If you are dissatisfied with a Superbiscuit you've purchased in any way, please let me know. I'll send you another one or refund your money immediately. I am also able to do custom colors or paint jobs/ graphics... please take a look at some of the other biscuits I've made as examples... if you have a way you'd like me to make your Superbiscuit unique, please send me a message and we can talk about it.